Following the successful launch of our last project, we were excited to get the ball rolling with another website. 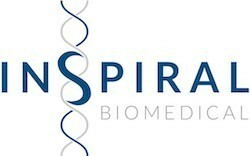 Inspiral Biomedical, researchers from the University of Manchester approached us in April 2015 and tasked us with creating a website for advertising their medical samples and data. With an ultimate aim to improve patient care, they have made their resources available to other academic and industrial researchers through the website. We took on board their requirements and design input and developed a consistent brand, including a logo and website designs. Since their medical data is complex and not easily digested, we provided a simple interface for them to present what they have on offer, with associated publications demonstrating a sense of competency. When is it best to improve your existing site or start from scratch?